We are an all-volunteer 501(c)(3) organization in Tempe, AZ, providing TNR (trap/neuter/return) and life-long care to community cats, and medical help to injured strays through our BKIND (Broken Kitties IN Distress) initiative. Learn more About ALF Animal Loving Friends, Inc. Invest in AZ! We're excited to participate in this year's Arizona Gives Day, a 24-hour giving marathon, and hope to break last year's record of $3800. Please consider giving on April 2, or schedule your gift in advance by clicking here. Your donation on that day has an even bigger impact and can help us win additional prize dollars. Your gifts help the most needy animals in our community, those trying to survive on their own on the streets, injured and ill cats, and those at risk of death in the public shelters. You can make a difference for them; give on April 2! The full amount of your donation is tax-deductible, as allowed by law. Your gift could not be more appreciated! Two cats become 20 in one year. In Spring, 2008, we were inundated with pleas for help for homeless, orphaned kittens. Each year it seems to get worse. We couldn't just sit by and do nothing. As the saying goes, "If you always do what you've always done, you'll always get what you've always got." So we launched our Spay One Stray™ campaign. We are thrilled to report that you answered in a BIG way, and have made a WORLD of difference for your neighbors and for these community cats. We'd like to encourage you to continue spreading the message. Even though a cat's breeding cycle will be more intense in the spring and summer than at any other time of year, cats have moved toward year round breeding, and their season doesn't actually end. Some do not come out of heat until they are either impregnated or spayed. The majority will return back into heat approximately every other week. Please remind everyone that BIG changes can come about from small acts. We'll continue to add names to our SOS™ Squad page, when they share their success story with us! Read the Spay One Stray™ Campaign launch page from Spring, 2008. Before you do anything, Click here. If you are feeding stray or feral cats, please contact the Spay Neuter Hotline today to schedule TNR appointments. Do you or your cat need advice? Ask ALF!. Every item you purchase for yourself helps another rescue animal. PAW IT FORWARD in the ALF store, and help rescue animals with every purchase. 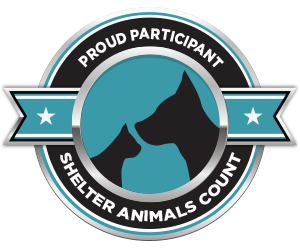 You can enable us to continue helping homeless animals. See our Wish List for a variety of items that ALF needs. Sadly, many young, beautiful kittens are put to death because they simply have no place to go. We're seeing new cats arriving at our feral colonies by the dozens, many of them pregnant. The food supply is often not enough to support large groups, and many suffer and die of hunger or injury. We believe that the best defense is offense - attacking the problem at its source - by altering free-roaming cats before they reproduce. Volunteers are needed to set and monitor humane traps, transport cats to/from vet appointments, and provide food and water after the cats are released to their colonies. Knowing that you are saving lives and making a positive difference in your community is very rewarding. Read about our medical program, . Give a little something to ALF animals at no cost to you! If you don't find what you need, don't hesitate to contact us. Overpopulation of homeless animals leads to the needless suffering and deaths of over 4 million animals each year. Please spay and neuter all your pets and urge your friends and family to do the same. There are several affordable low cost spay and neuter options. View a list of Clinics. Many Americans have lost their homes, and animals are coming into shelters 20, 30, 40 at a time. Rescue groups are suffering as well, since adoptions and donations are severely decreased. Some have closed their doors. This all results in another large increase in the number of homeless, community cats left to survive on the streets. Sadly, many of those are not altered, and more kittens are being born into the suffering, with no place to go. We hope that you'll consider adding a new furry member to your family, or contributing some financial relief to an animal rescue organization in your community. We've provided some resources for Economic Relief, for those in need of assistance for their furry pals. Several of our informational sheets are saved in PDF format, and require Adobe Reader. If you don't have it installed, you can get it here.